Louis Davout (or Davoust as it was commonly written during his lifetime) was the son of minor nobility from Auxerre. Following an education at the military academy in Auxerre and then the École Militaire in Paris he was appointed to a junior officer post in the Royal-Champagne Cavalry Regiment, but on the outbreak of Revolution he eagerly embraced its principles. Transferring to a volunteer infantry regiment he distinguished himself at the battle of Neerwinden in 1793 and, by the age of 23, was promoted to General of Brigade. Following further service on the Rhine front between 1794-97, he accompanied Bonaparte on his Egyptian expedition where he fought at The Pyramids and Aboukir. On his return he missed the 1800 northern Italian campaign in which his friend Desaix was killed saving Bonaparte’s bacon at Marengo. But Bonaparte showed his confidence in him by promoting him General of Division and giving him command of the Consular Guard. Now Davout would become Napoleon’s staunchest supporter. In 1804, when Napoleon became emperor, Davout was the youngest of the generals promoted to Marshal. His youth raised eyebrows and sparked not a little jealousy in some quarters but Napoleon would be proved to be a great judge of character. At this point Davout had had command of III Corps for a little over a year and was in the process of transforming it through discipline and training into the finest unit in the French army and setting the seed for his sobriquet, “The Iron Marshal”. He was harsh, difficult to get on with and had no patience with those who tried to take the easy way out. But he was honest and always mindful of the well-being of his men. These attitudes would mean he would get on well with few of his fellow marshals. At the Battle of Austerlitz in December 1805, after a forced march of forty-eight hours, III Corps was the anvil upon which Bonaparte pulverised the Russians and Austrians, but it was the following year at Auerstadt that he showed his true brilliance when his single corps defeated a Prussian force double the size of his own. In a hard fought day he battled the bulk of the main Prussian field army to a standstill and then swept them from the field in one of the greatest military displays in history. Unfortunately for him, Davout’s victory at Auerstadt was on the same day as Napoleon’s victory at Jena a few miles away and of course the subordinate’s victory was played down compared with the Emperor’s. Though Napoleon recognised the scale of his Iron Marshal’s victory, and when it came time to bestow on Davout a ducal title, it was as the Duke of Auerstadt. 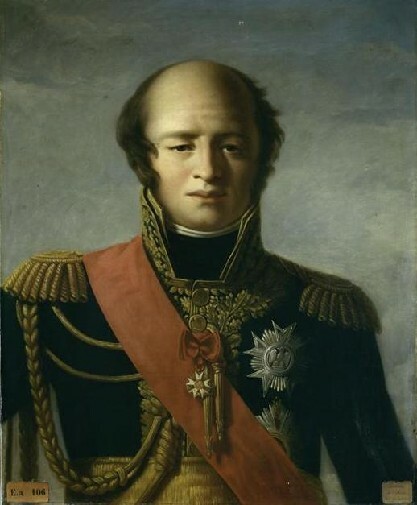 Further service followed for Davout; commanding well at the battles of Eylau, Eckmuhl, Ratisbon, and Wagram, being made Prince of Eckmuhl in 1809. And all of this battle leadership despite barely being able to see his hand in front of his face. On he went, performing well during the ultimately disastrous Russian campaign of 1812. He beat Bagration at Mohilev and commanded well at Smolensk and Borodino. However, the wheels came off during the infamous retreat from Moscow. Never popular with some of his senior colleagues, he had made particular enemies of Berthier, Jerome Bonaparte, and Murat who was Jerome’s brother-in-law. Together they conspired to turn Bonaparte’s opinion against Davout and he was replaced by Ney in command of the rearguard. The following year he was given the task of holding Hamburg and put up a sterling defence, defying the siege for more than a year, only relinquishing the city when Napoleon was toppled in 1814. During the Hundred Days when Napoleon returned from Elba, Davout rejoined him but was inexplicably given a ministerial post in Paris rather than a field command. If Napoleon had had Davout with him then maybe the results of the campaign could have been very different. I doubt Davout would have wandered aimlessly through the Belgian countryside with 30,000 troops as Grouchy did on the day of Waterloo. He would have marched to the sound of the guns and who knows what difference that force would have made under the command of the Iron Marshal.